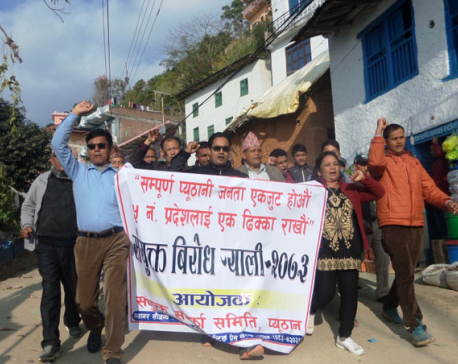 DHANKUTA, Jan 11: The banda imposed by the locals demanding that Dhankuta district be declared the capital of Province-2 has entered the fourth week today, continuing to cripple life in the hill districts. The market has been shut, while transportation came to a standstill. Hundreds of passengers were stranded in Bhedetar and Sidhuwa.